Celebrate Earth Day with AW LAB! 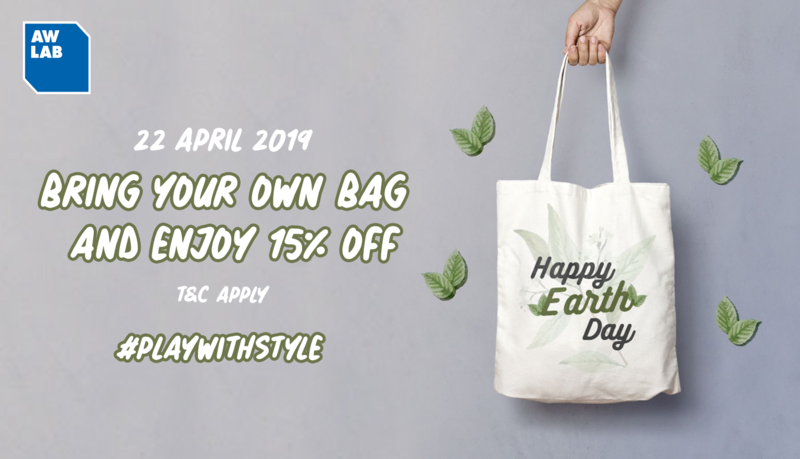 On 22nd April, bring your own bag to shop in AW LAB Suntec City store can enjoy 15% off on your purchase*. Don’t miss it! AW LAB is located at West Wing #01-341/342.